CONCORD, Mass. – June 27, 2018 – PRLog — The Open Education Consortium (OEC) is pleased to announce the addition of a new sustaining member, The City University of New York (CUNY). 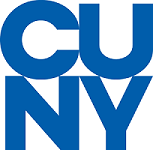 As the global open education leader, OEC welcomes CUNY to the network of educational institutions and organizations that provide advocacy and leadership around the advancement of open education. CUNY’s Office of Library Services (OLS) leads the effort at three community colleges to transform degree programs through Achieving the Dream’s OER Degree Initiative. All the courses in the degree pathways have been redesigned to replace traditional commercial textbooks with open educational resources. For the 2nd consecutive year, CUNY has been funded $4,000,000 from New York State to envision, establish and institutionalize new and ongoing OER initiatives and practices across CUNY. In FY 2018, OER replaced textbooks in nearly 1,500 course sections with new enrollments totaling more than 40,000 students, resulting in $4.9 million in savings in student textbook costs. FY 2019 funding will expand the reach of OER to more than 3,000 sections in Fall 2018 saving students $9.5 million in that semester alone. Founded in 1847, the City University of New York is the nation’s leading urban public university serving more than 275,000 degree-seeking students. The University comprises 24 institutions: 11 senior colleges, seven community colleges, William E. Macaulay Honors College at CUNY, CUNY Graduate Center, CUNY Graduate School of Journalism, CUNY School of Law, CUNY School of Professional Studies and CUNY Graduate School of Public Health and Health Policy.